Faiqa T. Mahmood is a Visiting Fellow at The Stimson Center’s South Asia program. She is also a Research Associate at the Institute of Social Policy and Understanding (ISPU). Ms. Mahmood graduated from The Fletcher School of Law and Diplomacy with a focus on International Security Studies and Southwest Asia and Islamic Civilization. Book Cover, “Democracy Prevention: The Politics of the U.S.-Egyptian Alliance” by Jason Brownlee, 2012. On October 21st, 2015, the first round of the first parliamentary elections held in Egypt since 2011 came to a close. A majority of available seats were won by loyalists to President Abdel Fatah Al-Sisi, in an election in which approximately one-fifth of the electorate voted. The election has been hailed by Al-Sisi as the final step in a democratic political transition, with critics saying that it has brought Egypt back to the status quo that existed under former President Hosni Mubarak. In Democracy Prevention: The Politics of the US-Egyptian Alliance, Jason Brownlee thoroughly substantiates a conviction held by many Egyptians: authoritarianism persists in Egypt because of America’s unwavering support. In tracing the U.S.-Egyptian relationship from 1973 to 2011, Brownlee concludes that “rather than fostering democracy in an incremental fashion, U.S. and Egyptian officials have promoted an autocratic security state that supports a U.S.-led regional order built around Israeli security and the projection of U.S. influence over the Persian Gulf.” This, he says, contrasts with Egyptian public opinion, which seeks a regional security order less dominated by the United States and Israel, and an Egyptian government that respects political competition and civil liberties. The strength of Brownlee’s narrative lies, firstly, in his ability to reveal the shallowness of the U.S. government’s claims that it is seeking to foster democracy in Egypt and the Arab world, as demonstrated by the aftermath of the election of Hamas in Gaza in 2006. Secondly, writing in 2012 before former President Mohamed Morsi’s election, Brownlee’s understanding of the Egyptian military’s deep-rooted hold on power has proved to be prescient of the events that have unfolded in Egypt since. Where the book falters, however, is on the matter of policy prescriptions. After making a convincing case that U.S. interests in the region are in conflict with Egyptians’ wishes, Brownlee fails to provide workable recommendations on how such a conflict could be resolved. Indeed, even in 2012, in the lead up to Egypt’s first free and fair election, while many observers celebrated Egyptians’ embrace of democratic processes, Brownlee was arguing that the January 25th “revolution” that removed Mubarak from power did not truly overthrow the authoritarian regime. 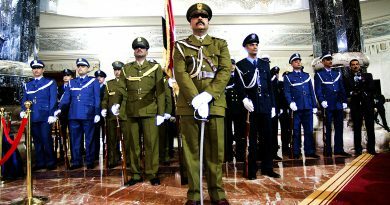 The military preserved its role as political overseer, pushing Mubarak aside with the tacit approval of the White House. Protesters were unable to overhaul the underlying repressive state structures, and policymakers in Washington continued to view Egypt from a regional security perspective, rather than taking local demands into account. With former military officer Abdel Fatah al-Sisi now in power, and by some reports, enjoying approval ratings at 90 percent, reformers’ optimism has disappeared. Brownlee concludes that “Mubarak’s resignation…has resembled the aftermath of Sadat’s assassination, when officials tweaked Egyptian domestic and foreign policies while reproducing authoritarianism.” Although written before the July 3, 2013 military coup in Egypt, Brownlee’s analysis held true for the events of that summer as well: the military takeover brought to power President Al-Sisi, who promptly clamped down on the media, political activists and dissident NGOs. And despite President Barak Obama’s claims that today’s status quo is unsustainable, U.S. policy continues to prioritize security over democracy. The most recent example of this shift was marked by Secretary of State John Kerry’s visit on 1 August 2015, to resume the Strategic Dialogue between the two countries. Brownlee argues that U.S. policymakers should give greater weight to the demands of the Egyptian public when formulating policy, rather than expecting authoritarian regimes to ignore or mold Egyptian public opinion around U.S. preferences. 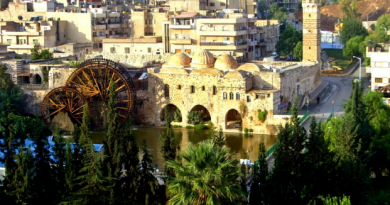 To do this, he argues, the United States must engage in genuine dialogue with mainstream views in the Arab world. A poll taken after the popular revolution in January 2011 showed that 54 percent of Egyptians favored annulling the peace treaty with Israel, while 36 percent favored maintaining it.. Another poll showed that a majority of Arabs believed that U.S. policy in the region is driven by Israeli security (44 percent) and U.S. concerns for control over Gulf oil (53 percent). Most of those surveyed saw Israeli-Palestinian peace as the best way to improve perceptions of the United States in the region (52 percent). Herein lies the dilemma: the ordinary Egyptian may recognize core U.S. interests in the Middle East, the average U.S. policymaker may understand mainstream Egyptian views, but given that the two sets of interests are often diametrically opposed to one other, will engagement ever lead to reconciliation? This is a question that Brownlee leaves unanswered, and it is difficult to see how any U.S. administration could seek a “genuine dialogue” with voices that favor annulment of the peace treaty with Israel. This would require a radical paradigm shift for the United States, a fundamental pivoting away from securing Israel and protecting the free flow of Gulf oil. 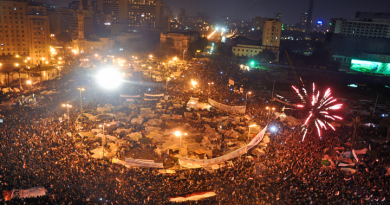 A functioning Egyptian democracy would inevitably bring these disruptive majority views to the fore. The U.S. announcement that it would release $575 million in military aid two weeks after former head of the armed forces Abdel Fateh al-Sisi deposed a democratically elected President to seize power himself, reinforces the view that for the United States, stability in Egypt trumps democracy. Thus, in today’s Egypt, the same destructive cycle that we have seen for decades continues, and one can only hope that policymakers in Washington will eventually pay heed. In this environment, despite its flaws, Brownlee’s astute analysis of the U.S. engagement in the political landscape of Egypt in a much needed addition to the literature. Brownlee, Democracy Prevention (Cambridge: Cambridge University Press, 2012), 3.